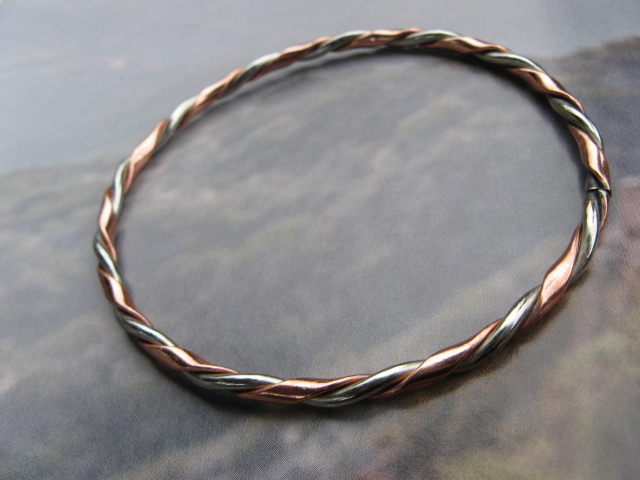 Solid copper and nickel bangle bracelet . 1/8 inch wide. Thick design. Will fit most women - 7 1/2 inch wrist and smaller . I am enchanted with this bracelet - it never leaves my wrist - I swim with it on & do water aerobics & love having it securely there - wonderful.